On Saturday 22nd September at 6am my alarm went off! Normally on a weekend I wouldn't have entertained the idea of getting out of bed so early..... but on this day it was different..... it was the day of............ THE GREAT BRITISH CHEESE FESTIVAL 2012!!! After a 7am bus and an 8am train to Wales, about midday we finally arrived in Cardiff - home to the GB Cheese festival. 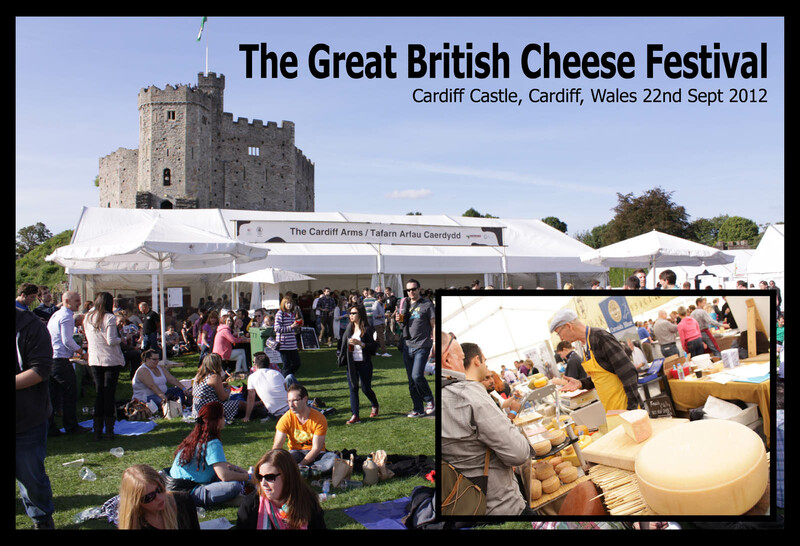 Every year in September the grounds of Cardiff Castle are host to this wonderful cheesy festival. As thier marketing says "a castle full of cheese, what's not to like!" Upon entry we swiftly booked our cheese masterclass - the Award winners with Juliet Harbutt, held in the Hall of Champions! But that wasnt until later on in the afternoon, so more on that later. 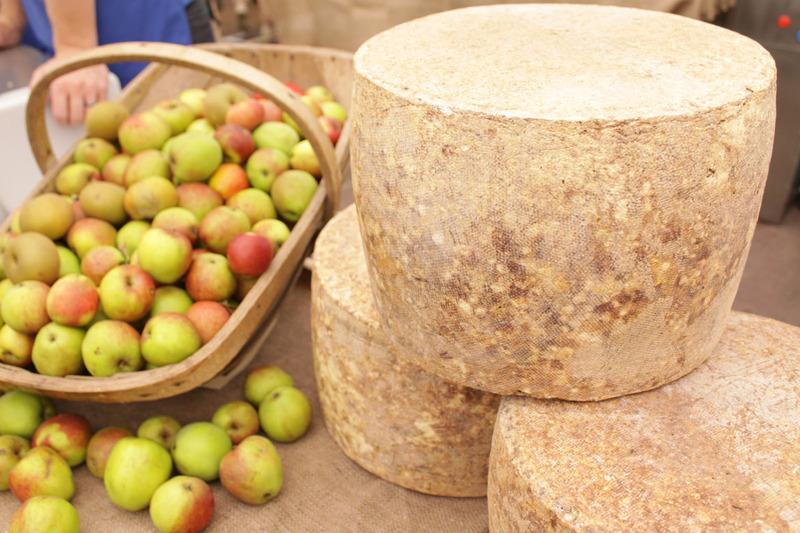 We hit the main market where all the independant cheese makers and producers set up their taster stalls and have all their finest cheeses on display to try & buy. For a cheese lover it is like being a kid in a candy store - all those delightful sights (and the smells), followed by tasting of sooooo many quality British Cheeses! Mmmmmmmmmmmmm!!! 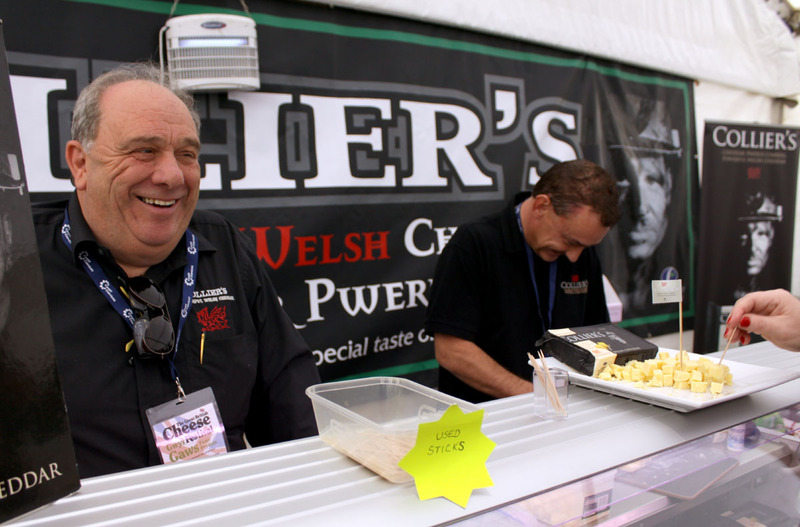 The main cheese market tent does get a bit busy - and at times its a bit of a scrum trying to get to those tasters, having said that there are plenty of stalls and plenty of time to work your way round all the stalls. We did half of it then stepped out for a cider (there is also a beer & cider tent that serves only independantly made beers & ales, and homemade ciders from small producers - like a proper beer & cider festival in itself. I had a pint of Janes Jungle Juice and a pint of Old Bike to refresh my pallette between cheese eating! So after a cider and a sit down in the sunshine it was back in the tent for round 2 of the sampling in the market. 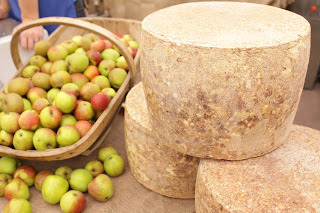 We tried cheddars of all kinds with added whiskey, spices, fruit etc. cheeses with horseradish, cumin, pepper. 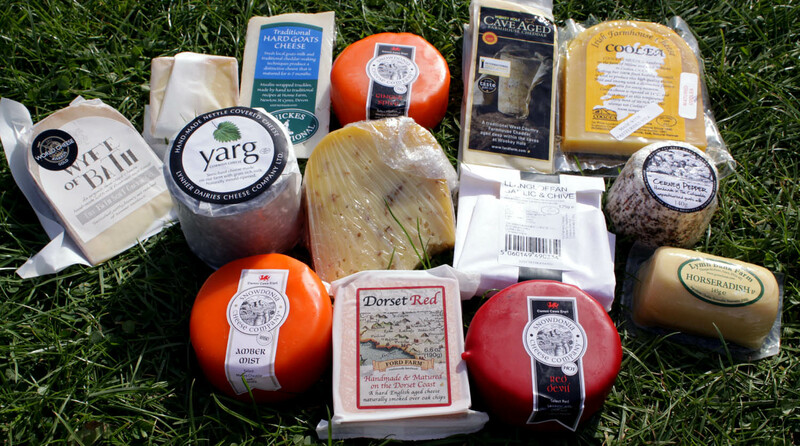 goats cheeses, both soft and hard, mature cheeses, extra mature cheeses, even stronger extra extra mature cheeses. Crumply cheeses, soft cheeses, creamy cheeses, blue cheeses, cheeses covered with wild garlic or nettles.... the list goes on! All the cheeses we tried we could have easily buyed too!!! However - a budget and the space in my bag dictated a limit on the amount of cheese I could actually buy and take home, so picking out some favourites from the day and making the purchase took some consideration. I did get a bit carried away and came home with a total of 12 cheeses which are all displayed out here: the top 2 were from my cheese companion Richey, but expect reviews on the Mighty Cheeseboard over then next few weeks of many of the others! Anyway, after another cider, a bit of lounging on the grass admiring our cheese purchases, and enjoying the bands that played music on the bandstand it was time to head to the hall of champions for the finale to our day - a talk and taste of some of the highlights form the recent cheese awards. 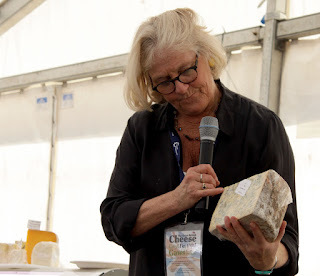 The masterclass was given by cheese expert & judge Juliet Harbutt. It was an interesting talk and we got some good tips on cheese tasting and a little about each of the cheeses we tried as she talked through the tasting of each one. Everyone seemed to find what she said interesting and informative - and its always good to learn a little more about cheese! The 7 cheeses that Juliet had picked out for us to try were: (I will update this later as my cheesefriend Richey has the notes on which cheeses we tried - so will update when I get the info). All in all a splendid way to round off the day. Then all too soon it was time to get back on the train back home to Manchester to drift off and dream about cheese - and coming back to Cardiff next September!! !